You're Engaged! 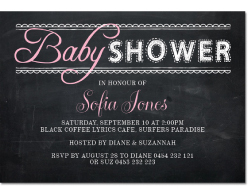 Paper Divas have a great range of Engagement Invitations to make your engagement party memorable and stylish. 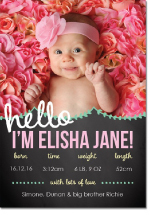 All designs are easily customisable using our exclusive online editor which ensures you have a personalised message to add that unique feel to your engagement party invites. With many different styles and colours of engagement invitations and accessories, at an easily affordable price, Paper Divas can organise great invites to help you on the way to a memorable party. The team at Paper Divas love weddings and are dedicated to providing engagement party invites that are personalised for you and your fiancé, and really enhance the joy and excitement of your upcoming wedding. We offer free shipping on orders over $65.00 and delivery Australia-wide – whether you are getting married in Darwin, Hobart, Kalgoorlie or Hobart, we have you covered with our customisable engagement invites. What do we have in our collection of engagement invitations? 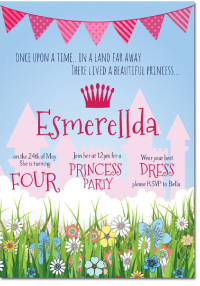 We supply an extensive and wonderfully varied range of engagement party invitations available at our online store. Our range comes in a number of different styles, colours, and themes, and you can use our online editor to customise the invite to perfectly suit your preferences. Please feel free to have a look at the whole range of engagement invites we provide. We don’t stop at just providing the cards, we allow you to customise them to perfectly suit how you would like the invitation to look. All you have to do is select your theme, and use Paper Divas’ editor to add personalised images and wording, we then get to work and have your engagement party invitations delivered to you in no time.